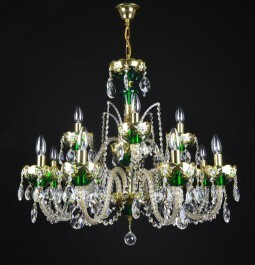 Emerald green glass. 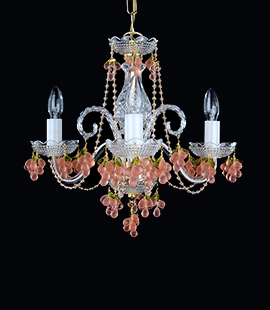 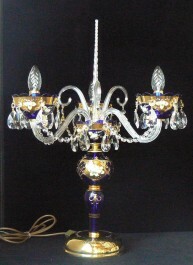 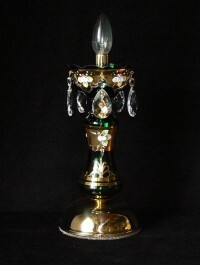 The luxury crystal lamp is decorated with the enameled hand painting. 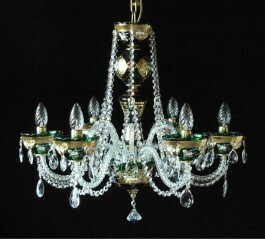 3 twisted glass arms. 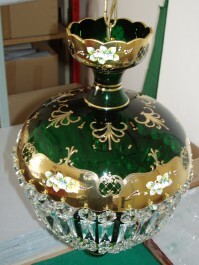 The color lamp with hand painting of the high enamel. 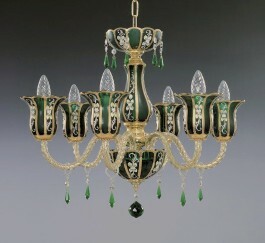 Colored Crystal glass - hand blown green glass. 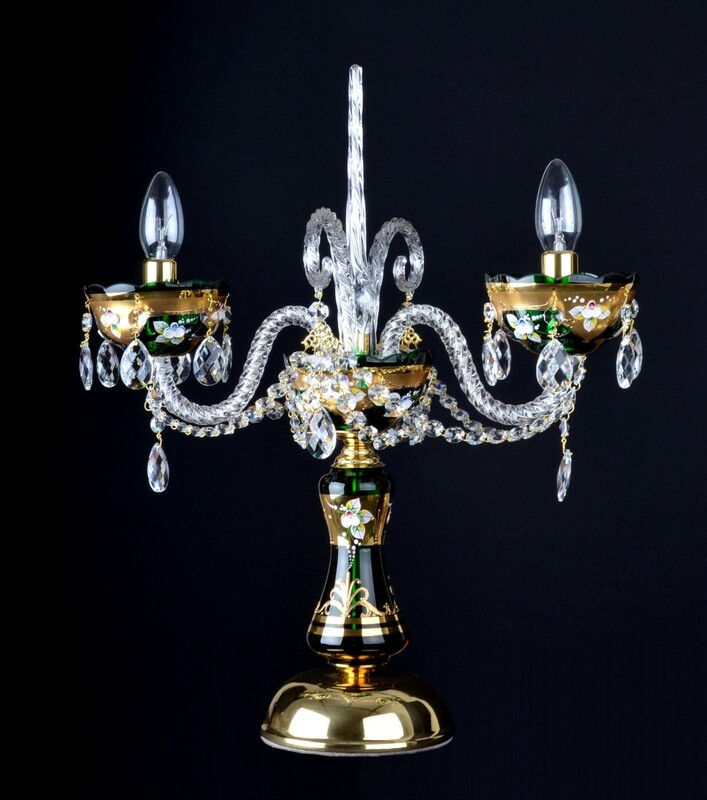 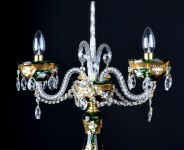 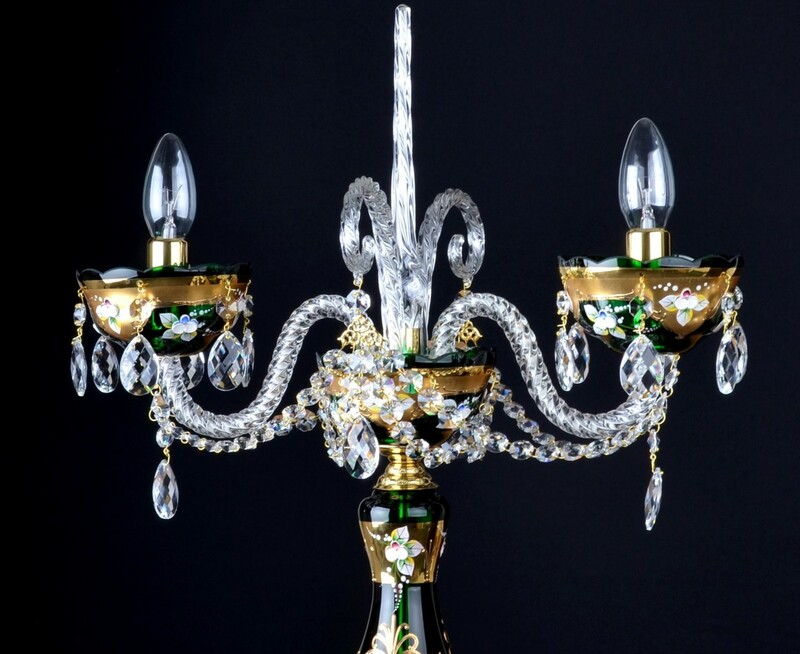 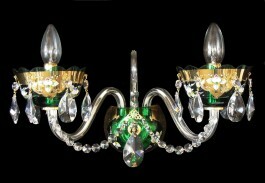 Dimensions (W x H): 40 x 45 cm / 16.3"x18.4"
6-arm green crystal chandelier made of panelled art glass "GOLD & GREEN"